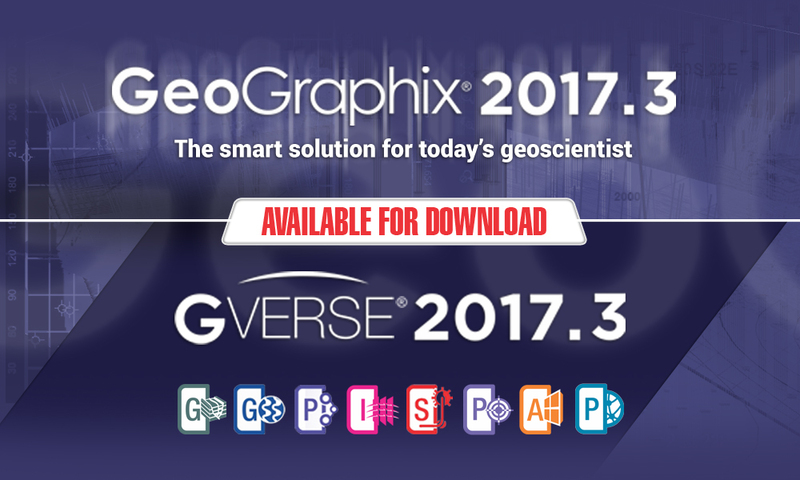 GeoGraphix & GVERSE 2017.3 released - Now available for download! NEW GeoGraphix & GVERSE 2017.3.1 comes with extensive updates focused on increasing your productivity with the most advanced field planning, geophysics, geomodeling, and geology software providing tools to accomplish tasks accurately within an integrated database and interactive 3D environment. Create well plans, geosteer multiple horizontal wells, and incorporate an ever broadening suite of data into a comprehensive and up-to-date interpretation and geomodel with the capabilities of an award winning WDMS, ESRI based map building, and State of the art 3D visualization. 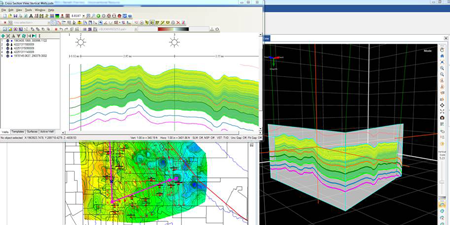 Better analyze petrophysical behavior between wells with the upgraded PRIZM. The new Saved Work Sessions allow you to save the state of opened Log Presentations, Cross Plots, and, Reports. 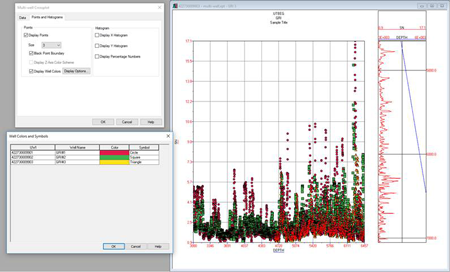 The single well export option gives you the ability to export and import the default curves and their aliases list, and a list of other technical upgrades ensures powerful, multi-well, petrophysical analysis and mapping of crossplots. The latest enhancements enable display of formation tops on straightened images, added support for data imports. An intuitive and easy-to-use seismic interpretation system, GVERSE Geophysics provides powerful seismic interpretation for your play. 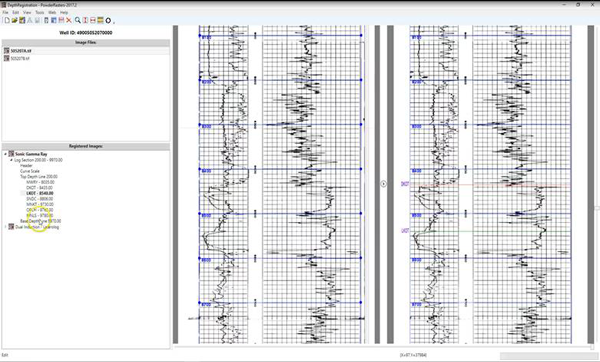 With feature enhancements, GVERSE Geophysics 2017.3.1 enables geoscientists to execute end-to-end workflows for basic interpretation and more advanced geophysical workflows. 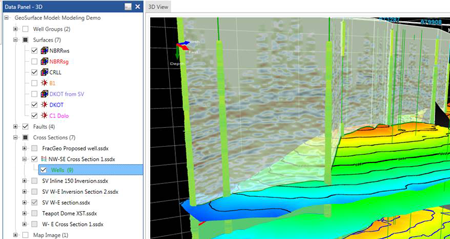 Now you can create cross sections with a single click, quickly pick horizons with auto pick algorithm, and much more. GVERSE Field Planner offers powerful, quick & easy field planning capabilities that result in time and cost reductions, allowing field planners to create, save, analyze and manage multiple field plan scenarios to determine optimal hydrocarbon production. GVERSE Inversion 2017.3 offers features enhancements to deliver high resolution impedances ensuring your well is drilled through the ideal reservoir. 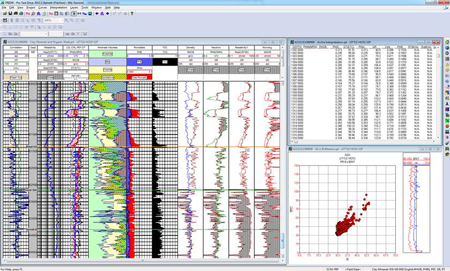 Completely integrated with LMKR’s GeoGraphix® suite of products, the GVERSE Inversion 2017.3 plug-in provides a rapid, yet robust way to derive geological details. The only web browser based geosteering application in the industry that delivers optimal well placement with simple data loading and full integration with GeoGraphix. GVERSE® WebSteering 2017.3 brings you , Reverse logarithmic and linear scale for secondary curves, Option to add additional survey point to project LWD beyond the bit, and New licensing options for network licensing and daily use through GVERSE Go. A multi-paned viewing environment, along with streamlined workflows and high resolution 3D seismic attributes help boost performance. 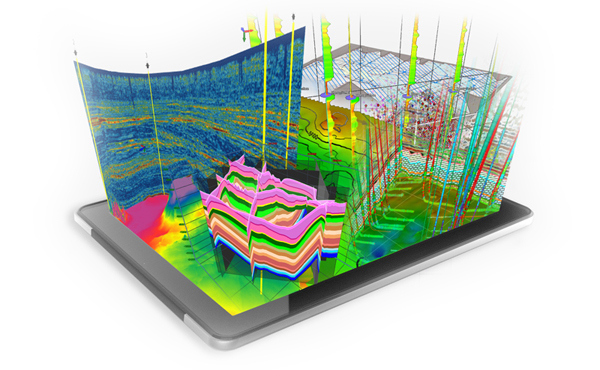 The value of seismic data for seamless interpretation is maximized by fast, on the fly real-time visualization of seismic attributes which allows for in-depth attribute analysis with immediate feedback. A multi-attribute inversion solution, based on spectral decomposition and state-of-the-art optimization techniques, to predict rock properties away from wells using well logs and seismic data. GVERSE Geomodeling 2017.3.1 offers better usability and user experience with a host of upgrades including fault aliasing in 3D, microseismic display and animation, 3D cursor tracking, optimize geomodel, etc. The latest GVERSE Geophysics 2017.3.1 enables tighter integration, enhanced interpretation capabilities, increased visualization functionality, improved efficiency and usability, and much more. Also part of the release is GVERSE Field planner which optimizes field development by reducing time and cost for optimal hydrocarbon production. There are also feature enhancements in GVERSE Planner - a fully integrated well planning system, GVERSE Attributes - on the fly high-resolution seismic attributes in 3D, and GVERSE Predict 3D - a multi-attribute inversion solution.